How big must have this been back in 1958? 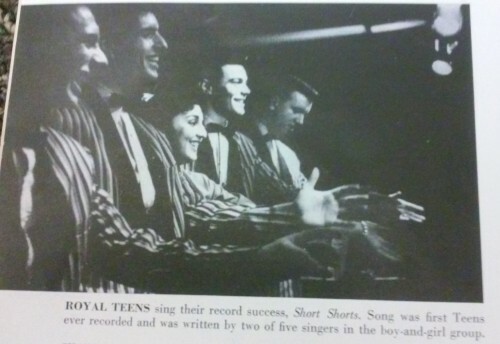 The Royal Teens were among the popular music groups included in a feature story in Life about best-selling vocal groups, which included The McGuires on the cover! Interesting that the caption notes that Short Shorts was written by “two of five singers in the boy-girl group”! Of course, those group members were Tom Austin and Bob Gaudio!